Last Sunday, I was mom of the year. Got up at 5am, showered. Dried my hair while I read my bible. Tried on 53 outfits until I looked super hottie. Put on some mascara (this is a major step up for me). Helped my sick husband set up the vaporizer. Dressed, fed, loaded the kids up. Made the drive to church. Got everyone to classrooms with their badges on. Got myself to the youth department and did my attendance duties. Talked way more than my allotted amount in Sunday School (shocker, I know). Loaded everyone in the car (after a ride on the elevator and then the "jeeps"... aka, golf carts). Fed everyone lunches when we got home. 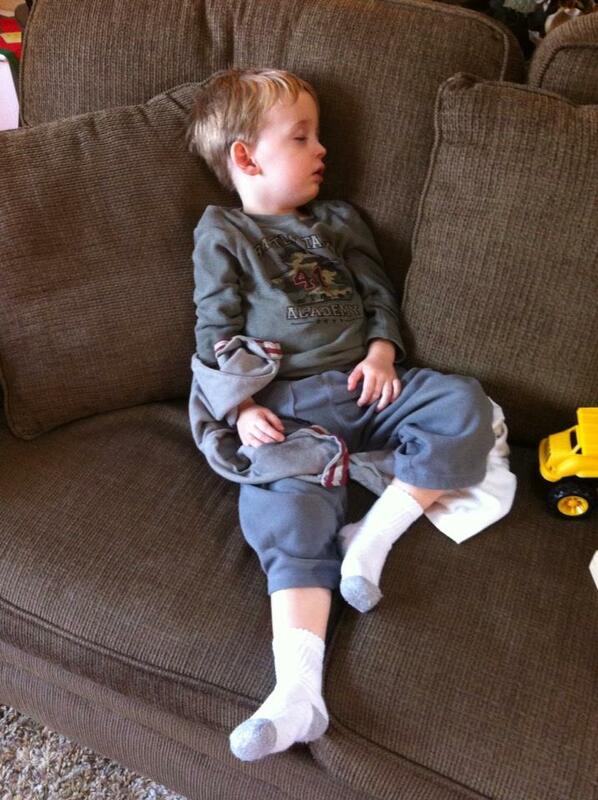 Diapered, potty-checked, read, and got the boys to nap. Medicated my husband again... poor guy has been sick for almost a month! Went to Sam's for the first time in a lonnnnng time (my cart was loaded up)! Unloaded and put away all the groceries. Prepped the ingredients for dinner. Woke up all my rugrats. Played playdoh, colors, fort-building, jumped on couch pillows, and built some Lego motorcycle thingy. Took the boys on a bike "ride" (ie my oldest rode his bike while I dragged my toddler in a wagon). Dumped kids in the bath. Cleaned the bathroom and folded a few clothes while they took their baths. Dressed, diapered, potty-checked, tooth brushed, sippy-cupped, read, prayed, sang, and bedded kids. Folded the rest of the clothes (avoiding matching up the socks... I wasn't up for that). Kissed my sickie man on the cheek. Mentally applauded myself for using every. single. moment. of the day. But... but... it's the weekend. I mean, I have to make sure the kids have stuff for lunches for the rest of the week. I have to get the clothes finished. I have to make sure bills are paid. I have to clean the toilets in case my mother-in-law pops in. I have to register women for bible studies or they won't get their confirmations and they'll think it didn't work. I have to cook dinner for my family. Nowhere in my list of have-tos did I say "I have to obey and follow the commands of God." At the end of the day... at the end of the age... what will He care about more? That my mother-in-law wasn't grossed out by my toilet or that I stopped my crazy, spinning life and took a day to honor Him by pursuing peace. rest. tranquility. focus. One thing I left out of my "things I did last Sunday" list above was right there at the end. After applauding myself for using up every moment and right before conking out for the night, that secret, silent whisper of the Holy Spirit spoke those verses into my heart. Ya know, the verses of the Ten Commandments that I got 10 gold stars for memorizing in 4th grade Sunday School? So, yesterday when Sunday rolled around and my lengthy to-do list followed it, I chose to get a step closer to following and obeying this command. I didn't unload the dishwasher. All of the clean-ready-to-be-folded laundry sat still in the baskets. I didn't mop the floor. or wipe the bathroom counters. I saved my trip to the grocery for today. During naps, I sat on the couch under a blanket with the space-heater going while gazing out the window into the cold afternoon. And I felt so much more tranquil. at peace. at rest. focused on Him. Now, I'm not saying abandon your family... you might remember a post I wrote a while back called Demon Lady which was about making Sundays a nice, good, organized day for your family. What I'm actually saying is that we need to step that up another notch. We need to use those days leading up to Sundays to prepare. Like, maybe pick one or two areas that we can start cutting out for this month's Sundays... go to the store on Tuesdays? And then maybe in February, keep going to the store on Tuesdays and also make sure all homework is completed by Saturday evening? Then for March, store on Tuesday, homework done Saturdays, and get all clothes set for the following week on Friday. And so on... maybe make it a journey to a sabbath life? Take a year if need be, or a month, or a few months, or go cold turkey and stop working on the sabbath this coming Sunday. But, I think it's important that we take time to stop. and rest. and keep a day holy. and remember that God brought us out of a land where work and acheivement and success defined our worth. He brought you out of a life of slavery to those things. Let's honor Him and give Him thanks by taking a to rest. 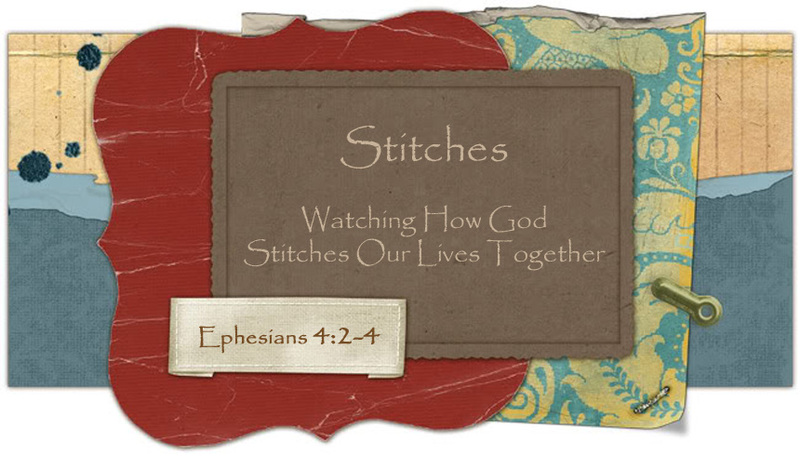 A blog team member from "Stitches" post each Monday and Thursday morning. We would love for you to visit each week to see what all is going on here at the Stitches Blog.